This page is a continuation of the Kids Initiate page. 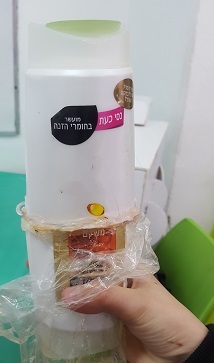 In this page, we write about additional projects of students, children, and youth studying the Israeli Entrepreneurship for Kids (EFK) program. Some of the projects are social while others are inventions, and they all give the children the feeling that they, too, can realize their ideas. As part of the entrepreneurship studies, the execution of a project designed by the students is important and promotes significant learning, while understanding the entrepreneurial process, not only in theory, but in practice. The role of teachers in the entrepreneurship process is to serve as mentors that encourage students, show them the way, and give them the knowledge to succeed as well as cope with the difficulties that arise during the entrepreneurial path both on a personal and practical level. Sixth graders at the "Hayovel" school in Ashdod, led by teacher Nili Arama, learn entrepreneurship classes. The students thought of the need for young people wash their clothes. On the one hand, they do not have much laundry of the same type to fill the washing machine quickly. On the other hand, they want to wear clean clothes. 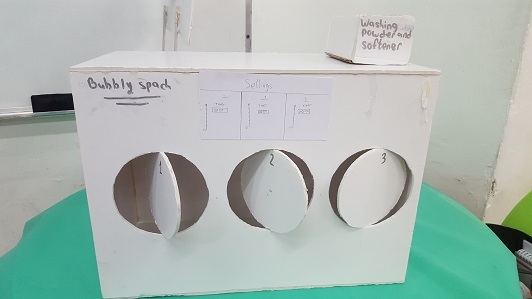 That's why came the idea to prepare a model of washing machine, which in one wash can wash without destroying three types of laundry: colored, white and towels. 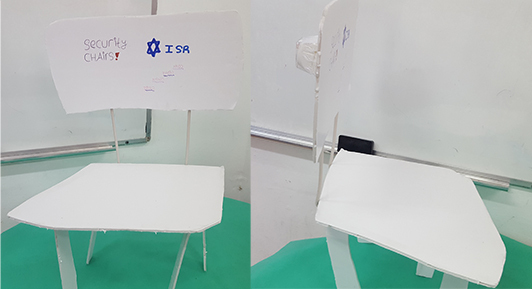 The entrepreneurial students are familiar with the phenomenon in which children swing on the chair and sometimes fall back. These falls can end in disaster, especially if the falling student did not have time to stop himself and finally hits his head. To prevent such injuries, students thought of installing an airbag in the back of the chair. So, during the fall the pillow will swell and protect the student's head. While washing their hair, the young students use the shampoo and then the conditioner. In order to make it easier for them, when they walk and sleep outside the house, they would like one bottle. In which one side being shampoo and the other a hair conditioner. After looking for such a product and not finding it, they decided to develop one on their own. Like the one in the picture. "Be'eri" school educates for green initiatives and personal empowerment. 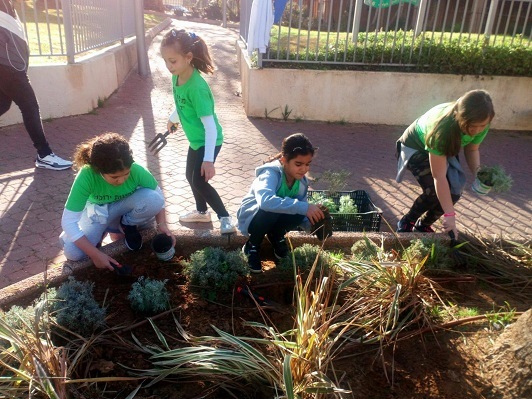 The green initiative group in the school, led by the teacher Sigal, went out to the public park in Weizman St. and planted seedlings. The initiative was executed with the cooperation of the Administration Wing of Districts and Parks in the city, as a part of the Tu BiShvat events. 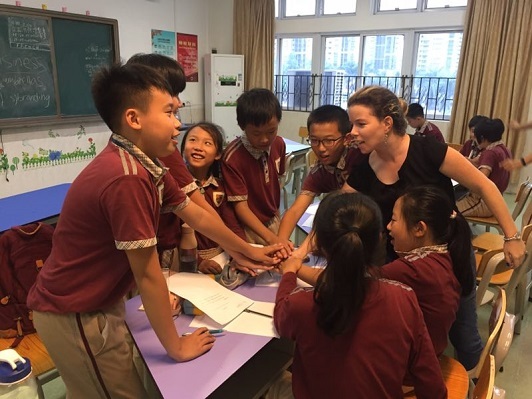 The Entrepreneurship for Kids Program is also taught in China. 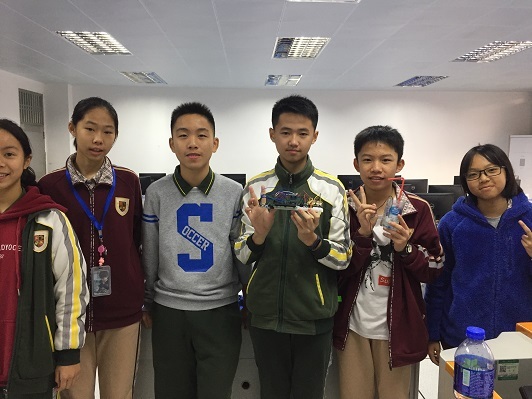 Children aged 10-13 from china who participate in a entrepreneurship course in the Language School initiated an educational and social project, for the school's community. The group of the young entrepreneurs planned a special mentoring seminar for the future first graders who are joining the school, in which the older and experienced students aid the younger to acclimate in their new school, share with them practical tips, and give out a special advice notebook that they designed and wrote themselves. The children thought about problems that annoy them, and one of them was how hard it is to wake up with the ring of the alarm. One of the ideas that arose was to develop an alarm clock that also sprays water on us, so that those who find it hard to wake up in the morning - will wake up easily. The young initiators programmed an alarm clock which contains a function of spraying water using the Arduino program. The group of entrepreneurs, participants of an entrepreneurship course in China, thought of an idea for an educational initiative meant to illustrate the different geographic areas around the world. The project's mission was to allow curious tourists from all over the world to be exposed to different places around the world, in just one place. 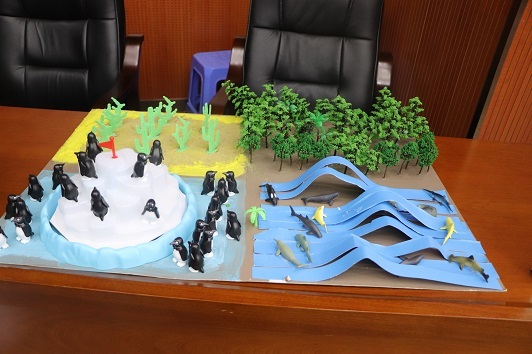 As part of the project the children created a model of the park, which resembles four distinct geographical areas: Ocean, Desert, Forest, and Polar. The children built a simulation room which enables a peek to how the place will look and what activities it will contain. Watch also the pages ideas for initiatives (page 1) and more ideas for initiatives (page 2) by children who participated in the Entrepreneurship for Kids Program.